It may seem like just another week for Ed Sheeran but, in fact, ‘Perfect’ is now the top dog off multi-platinum album Divide, having earned more weeks at #1 on the TMN Hot 100 airplay chart than smash singles ‘Castle On The Hill’ and ‘Shape Of You’. ‘Perfect’ caps off an exceptional year for the hailed songwriter. The latest Hot 100 issue sees the romantic ballad cruising in pole position for a sixth straight week. Overall, Sheeran’s four Divide singles (including ‘Galway Girl’ which peaked at #3) have spent a total of 15 weeks at the top of the chart since ‘Castle’ hit the peak in January. 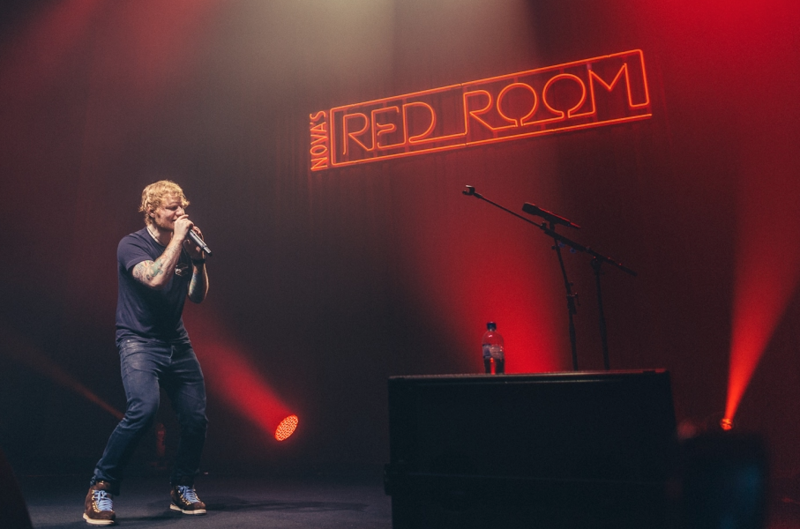 According to Brad McNicol, music director KIIS Sydney and Melbourne, Sheeran is making a habit of breaking records and reestablishing the benchmark for artists in the industry. McNicol is also finding it hard to ditch any Divide cuts from the playlist, despite their age. “Ed Sheeran decided to change the game right at the start of the year by simultaneously dropping two tracks from his upcoming album,” McNicol said. “As a result, Ed became the first artist to have simultaneous debuts at #1 and #2 on the ARIA Singles Chart with ‘Shape Of You’ and ‘Castle On The Hill’, both of which are still in the playlist! “His incredible year continues with ‘Perfect’ currently sitting at #1 on iTunes and his upcoming 2018 Aussie tour set to be the biggest stadium tour in over 30 years,” the MD added. While KIIS is continuing to pump out Divide tracks across their airwaves, Nova stations are spinning ‘Perfect’ more than any other network in the country, spearheaded by NOVA Entertainment’s group program director Paul Jackson. “Ed’s success this year has been absolutely staggering. He’s a one-man show in a league of his own. He makes it all look so effortless as he writes classic after classic for himself and many other artists. Sheeran’s not done with 2017 just yet. He’s recently released a duet remix of ‘Perfect’ alongside Queen Bee Beyoncé, and while it’s still early days, the entire Nova network has already playlisted the new track (including both smooth stations), making it a good shout for this week’s Most Added crown – Sheeran’s third of the year. Speaking exclusively to Nova last week – which also scored the first national spin of the remix, Sheeran confirmed a third version of ‘Perfect’ is on its way and will drop closer to Christmas.